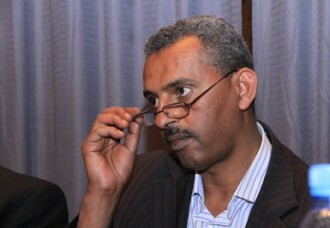 “The draft should not be interpreted to mean any prohibition has been imposed on computer to computer or computer to phone communication as long as it is IP based,” Deputy Spoke’s person Shimeles Kemal told journalists from his office located off Bole Road. He said that the bill is meant to keep with the latest technological advances and related fraudulent activities. According to his explanation, all IP based voice communication will no way be banned by the new bill. But, many ask how come the interpretation of the law ended up being far-off? According to legal experts, the phrasing of the draft proclamation should have been more explicit in the sense that it would not have any ambiguous meanings in the end. “Especially, when a proclamation criminalizes a certain act, the wording should be as precise and as clear as possible,” a lecturer at Addis Ababa University’s Law School, who prefers to stay anonymous, explains. And considering that the law is at its first reading stages, it should take in the response as necessary feedback and improve on it, he says. Following the announcement of a new legislative bill regarding telecommunications operation in Ethiopia, a wave of confusion and havoc is raging across internet users. Considering the intent of the bill that is to prevent telecom fraud and that it is still in its draft stages, one wonders if the response is really appropriate. Yet again, given past experiences in ratifying legislative bills, especially the controversial ones, the temporary stir about the possible interpretation of the bill could be comprehensible, observes Asrat Seyoum. For Solomon Alemu, a young entrepreneur and businessman in his mid-thirties, doing business in Ethiopia has come very far since the last few decades. Now, business requires constant e-mail correspondence, internet surfing, checking business related news updates and much more. In fact, the evolution of social media and various chat and communication mechanisms appears to be the cherry on top for private businessmen in Addis. It is becoming common to correspond with customers and/or suppliers abroad via the internet; and the IP based Skype software which has grown to be very popular in this respect. Running a small used cars dealership business, Solomon looks worried about the a new draft bill criminalizing telecom and internet based fraud in Ethiopia, which by the way he did not get chance to read. Like his peers, he is a loyal user of Skype that he downloaded on both his smartphone and laptop and uses it for personal and business related matters. But, what appears to worry him is the business aspect. “I was able to communicate easily with my suppliers in Europe,” he says nervously as he started to ask around looking for a thorough explanation as to the stipulation of the draft bill, if ratified. Unfortunately, few people in the group of friend seemed to agree as to the full interpretation of the draft bill; better yet, there were few who were convinced that the bill has already been passed. After few minutes of heated debate; however, many inclined to view that it is better to take the safe way out and uninstall the program from their devices. Partly, the same was true for small circles discussing the matter during the past few weeks in the capital. However, much of the deliberation became ineffective after the announcement by the government, which was made yesterday wiped clean the confusion regarding IP based voice communication. It is not the first time when a draft bill created havoc in Ethiopia. In fact, it looks more frequent these days citing the case of the Urban Land Lease Proclamation, Antiterrorism Proclamation and the Charities and Civil Societies Proclamation. From this instance, however, one wonders why commentators both local and foreign are more sensitive to draft bills in Ethiopia. As thousands of bills make it before the legislature in the US each year, draft bills do not seem to instigate the response that is observed in Ethiopia at present. According to commentators, the recent ordeal could offer some explanation. Nevertheless, experts go far beyond the level of ambiguity or the phrasings of the drafts in explaining the reason behind controversies surrounding draft bills in Ethiopia. In fact, they refer to the level of maturity of the legislative process of the country as being rather reactive to problems than being farsighted. According to experts, the levels of maturity of legislative process follow three distinctive phases. The less developed or traditional of the three is the customary (Unwritten law) which the society upholds among one another as common practice and value. More evolved from the traditional law is the enactment of laws in response to challenges observed on the ground. According to legal experts, this is known as laws that are regulatory in nature. Whereas, the third phase involves setting the systems and procedures by observing trends and assessing needs before it poses a problem. The last one is better in sense that enactments of laws would be well tailored to alleviate possible problems, before it presented itself as a challenge. Most recent legislative processes indicate that Ethiopia is at the second stage, the anonymous expert explains. And he argues that the whole purpose of instituting a legal framework in the first place is to shape public opinion into forming a system. It should not be backwards, that it should not be sourced from the behavior and public opinion; which is the basic nature of regulatory laws the like practiced in Ethiopia.